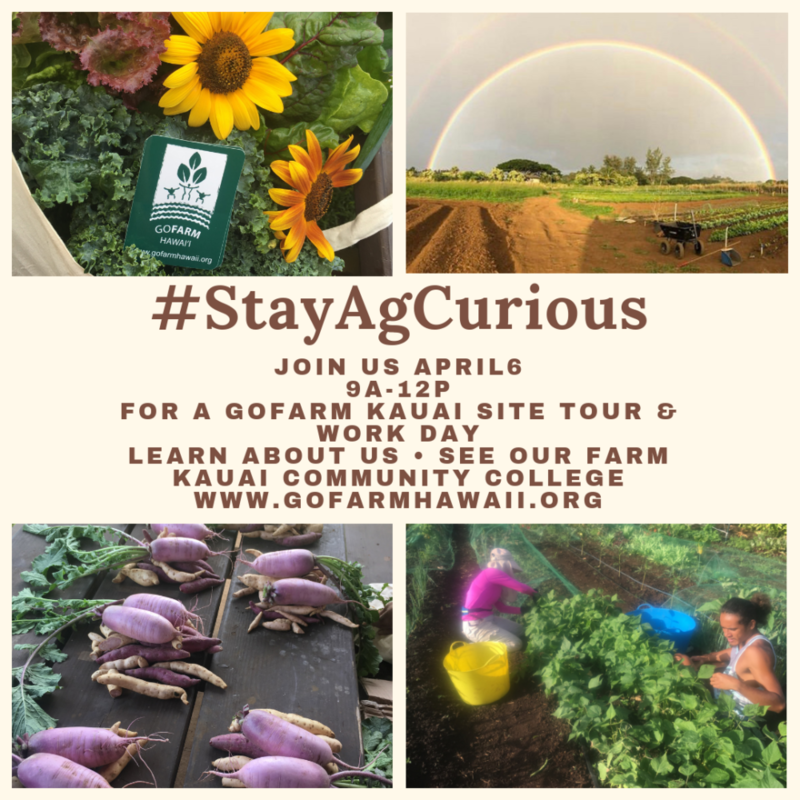 We invite you to join us for GoFarm AgCurious Open House on April 6th 9a-12p farm tour work day style. Learn what our GoFarm Hawaii farming program has to offer, meet the team and become a part of the local food movement on Kaua’i. Please bring water bottles, hats and work gloves and be prepared for getting dirty. If you have any questions prior feel free to contact GoFarm Hawaii Farm Coach, Eric Hansen, at kauai@gofarmhawaii.org.